Redis is a high performance data store solution, it is a one more step forward in the “No SQL” regime and developers are using this store to achieve reliable performance and flexibility for their applications. Redis can be used as database, cache and message broker. It supports wide range of data structures and atomic operations. It uses an “in-memory dataset” for achieving optimized performance. Redis works on Linux and Mac operating systems; for production environments, it is recommended to use Redis on Linux OS. Redis supports a large number of programming languages and currently efforts are being made to make this available for Windows operating system too. 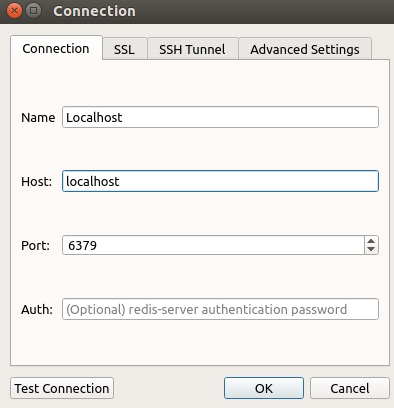 In this article, we will learn how to install Redis on Ubuntu Linux and how to manage Redis using Redis Desktop Manager tool. As already mentioned, Redis Desktop Manager gives users a great ease to manage their Redis intance. 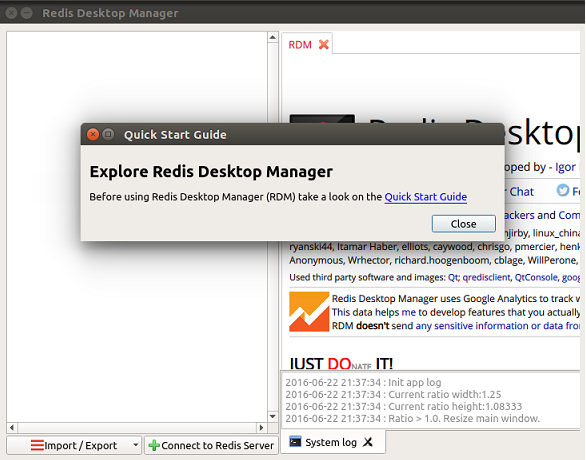 In order to install Redis Desktop Manager, launch your system terminal and download its installer package for ubuntu using following command. Once the download process is complete, install Redis Desktop Manager by using following command. Congratulations! 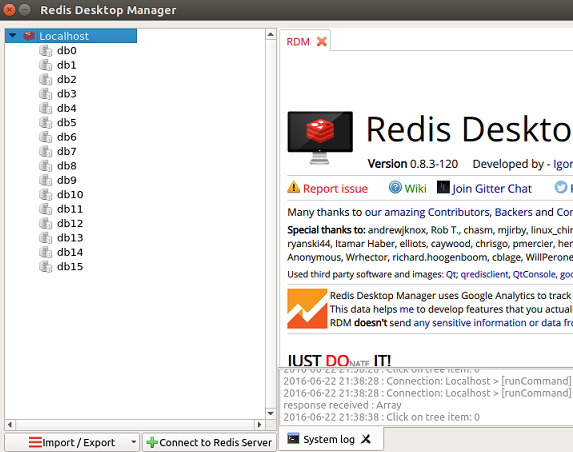 Redis Desktop Manager has been installed now, launch it by simply typing. Here is the welcome screen you should be seeing. In order to connect your localhost or remote Redis server, click “Connect to Redis Server” tab and it will load a login window, here specify your Redis server details. There you go, you are connected to your Redis instance now, start using it for your required operations. Redis is being used by many experts for their production and critical applications. The popularity for this tool is on the rise and we should see more and more features in the coming era. No-SQL techniques have gained massive popularity due to their speed, easy of use and flexibility.